Patagonia is the ultimate day trip and travel backpack brand for a few reasons: durability, extendable storage, and some of the finest damn styles on the market today. Most brands think that the function will outdo the lack of flair, but Patagonia knows that’s just not the case. They pull out all the stops for their backpacks, and with so many to choose from, it was a chore cutting it down to only ten. Beloved by the backpackers of the Gear Hungry staff and our social media followers, these are the ten best Patagonia backpacks. You can’t get better than 32 liters of storage space and these excellent features. 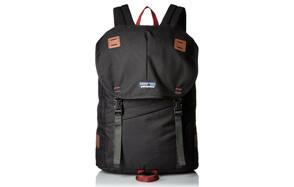 The perfect case for everything you need on your hiking trip, the Patagonia Cragsmith 32L hiking backpack comes with a large exterior stretch pocket, which is essential for quick-access items such as a water bottle or identification when you’re in a foreign country. The U-shaped lid allows you to access the top compartment easily, while the back panel separates you from the main compartment. Crafted of bomber nylon, this is ready to stand up to the test of nature, the test of time, and whatever else you’re certain to throw its way. Foam padding aids in comfort, while protecting your gear from the elements, and from drops. You want to look like a champion while you’re scaling the rock wall, or claiming triumph over than eight mile trail. You’re not alone – the good folks at Patagonia have the same vision, and they put those thoughts into this epic Arbor backpack. Crafted of 100% polyester, your durability knows no bounds. Thrown around or subjected to the test of the elements, this will hold up against anything. Your main compartment allows you ample storage for electronics, clothing, additional supplies for the hiking trail, and a slim interior pocket for valuables. Padded sleeves will house your laptop or other fragile item with care, while the durable water repellent finish will ward off Mother Nature’s best attempts to send you home packing. Designed to contour to your unique body shape, the Human Curve straps of the Ironwood pack keep 20L of items on your shoulders without the stress that comes with it. Stow away your 15” laptop or external hard drive without worrying; the water repellent finish on the polyester construction will keep the elements out, even when they’re seriously trying to get in, while the padded pockets keep electronics safe and secure with minimal bouncing about. An ingrained pocket for your valuables allows you to stash your wallet, identification, cash and anything else that you don’t want slipping out of your pocket while you’re climbing on the trail. This entire pack ways a startling 15oz when empty – think you can handle that? The simple design complements the simple nature of the sleeves/compartments, while the sturdy construction leaves nothing to be desired. Ready for the worst weather and awaiting to accompany you, the Black Hole model comes with weatherproof TPU laminate material, treated with a durable water repellent (DWR). Like many of their other models, Black Hole 25L comes with the capability to store your electronics and valuables, including up to 15” laptops and bulkier pieces of equipment. This is perfect for the amateur filmmaker who wants to bring their camera out into the middle of the wilderness for some epic shots. We don’t know how they do it, but 100% polyester, comfortable straps and all these extra pockets only come in at a 13oz empty weight. The exterior is heavy-duty, molded to hold your items while being rough on the weather. This fabric is Bluesign approved, and begs to come with you on your next outdoor adventure. Stylish, available in two colors. Different compartments are made up of different materials, including polyester, nylon, and spandex – each of which have been treated with water repellent finishes to keep nature out, and keep your items safe. Flash floods and oncoming, unexpected rain won’t be a reason to turn around on the trail. 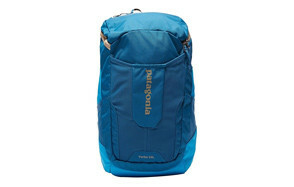 In brilliant blue, Yerba Pack 24L is lightweight, and is designed, like most Patagonia products, to hold up to a 15” laptop and other valuable electronics. There’s not a lot to this model, and it’s why we love it so much – it has the benefits of weatherproofing, with the simplicity of few pockets, and a comfortable design for the straps to rest on your shoulders without causing additional stress or strain. 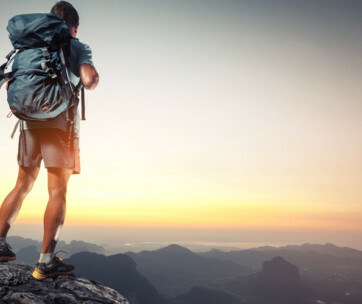 All in all, it’s the perfect minimalist approach to a great hiking backpack, or day trip bag. Slopes, here we come! Designed for snow sports (seriously, these guys have thought of every occasion for these bag designs), this nylon weave, polyurethane coating bag keeps the weather out, and the valuables inside. You get the same water repellent system that Patagonia benches their bags success on, while benefiting from the power of ballistic nylon. Snow Drifter 40L is a top-loader, making it ideal to slug off your shoulders, rummage around, and throw it back over your back. 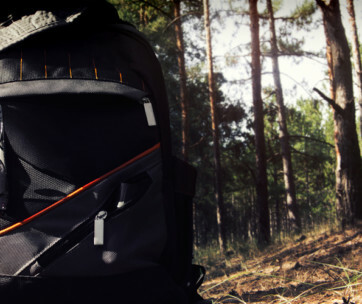 This comes with pretty impressive puncture and abrasion resistance, so every occasion where you could possibly botch this pack has already been thought of. Comes in small and medium, and fits with just about any heavy duty snow weather attire. Small and mighty, Linked Pack 16L comes in two colors, and includes the same great water repellent finish that all Patagonia backpacks do. It’s a top-loader, meaning you quickly access your items, throw it back over your shoulder, and carry on throughout your trip. The open, breathable mesh shoulder straps allow for comfort, while the reinforced haul handles ensure that you won’t tear through the bag just by picking it up abruptly. You get an interior zippered valuables pocket, ideal for items you wouldn’t want to lose off a ski lift – wallet, ID, money and your phone, to name a few. 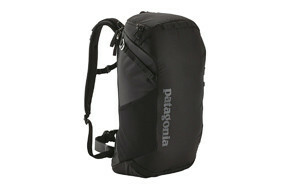 It’s a relatively lightweight pack while bringing all the sturdy, puncture-proof benefits to the table. Drag it across asphalt and stare at your watch – it’s going to be a while before it shows any signs of wear-and-tear, or a single stitch popping out of place. There’s a reason we dedicated an entire guide to these excellent bags. 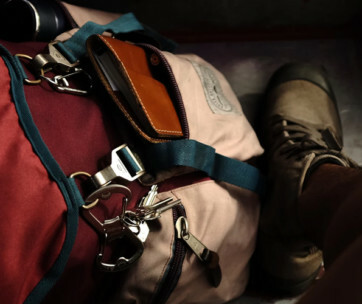 The unisex design that helped put Patagonia on the map – the Chacabuco design is the ultimate solution for the hiker/camper who can’t seem to let go of their electronics. Stash pockets are fit for phone or sunglass-sized items (like a Nintendo Switch), while the main compartment holds up to 15” laptops and other electronics in sturdy comfort. The mesh back panel means little to no sweating, while the shoulder harness promises not to put too much stress on your joints. Throw two large water bottles in here, yoga mats against the cording, or extra clothing – this bad boy can handle it all. From work to play and back again – Sweet Pack Vest 28L is the ultimate wild weekend backpack. Stylish and solid enough to be used in the workplace, lightweight and excellent enough to be used on the camping trail. YKK zippers hold in all your valuables with durability, while the interior mesh and polyester pockets are organization and designed for your everyday items. Keep your electronics safe with Patagonia’s standard waterproofing finish, and compliment your attire from casual to corpoate. If you’re all about the all-black appeal, then Stormfront 30L is going to blow you away. Weight is evenly distributed in a vertical fashion to reduce stress, which work with the padded shoulder harness straps. If you suffer from back issues, this will take the highest amount of stress off of you while still allowing you to carry everything you need. Comes with a fully waterproof TIZIP for maximum protection from the elements, as well as the standard Patagonia waterproof layer on the entire bag.